The FAE saw action on several occasions. A continuous border dispute with Peru flared up in 1981 and 1995. 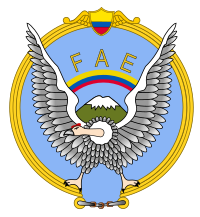 Today the FAE faces the war on drugs as well as many humanitarian and logistic missions into the Amazon-region of the country. Nevertheless, being a middle-income country and supporting a relatively large air force is a burden. Previous aircraft flown by the Air Force included the BAC Strikemaster, Cessna A-37 Dragonfly, Dassault Mirage 5, Dassault Mirage F1, English Electric Canberra, Gloster Meteor, Hawker Siddeley HS 748, Republic P-47 Thunderbolt, SEPECAT Jaguar. ^ Franks, Norman; Guest, Russell; Alegi, Gregory. (1997) Above the War Fronts: The British Two-seater Bomber Pilot and Observer Aces, the British Two-seater Fighter Observer Aces, and the Belgian, Italian, Austro-Hungarian and Russian Fighter Aces, 1914–1918: Volume 4 of Fighting Airmen of WWI Series: Volume 4 of Air Aces of WWI. Oxford: Grub Street. pp. 155-156. ^ Schnitzler, R.; Feuchter, G.W. ; Schulz, R., eds. (1939). Handbuch der Luftwaffe [Aviation Manual] (in German) (3rd ed.). Munich and Berlin: J. F. Lehmanns Verlag. p. 64. ^ "Peru vs. Ecuador; Alto-Cenepa War, 1995". Retrieved 24 December 2014. 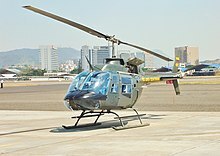 ^ "Ecuador Air Force". Retrieved 24 December 2014. ^ Eric Katerberg & Anno Gravemaker, Force Report: Ecuador Air Force, Air Forces Monthly, July 2008 issue. ^ a b c d e f g h i j k "World Air Forces 2017". Flightglobal Insight. 2017. Retrieved 3 March 2017.